My Launch Event is Finally Here!!! On Thursday, March 22nd from 6:00pm to 8:00pm, we will have a literary celebration – complete with snacks and drinks (and, I’ve been told, some glitter!) – at Books of Wonder in NYC, the same children’s bookstore where I proposed to my lovely fiancée! 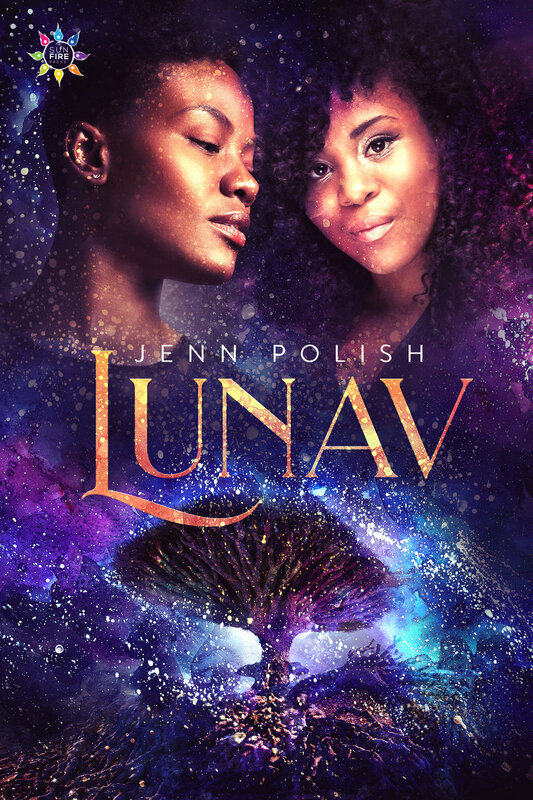 LUNAV cover: two young Black women's faces (the boyish woman looking down and away, Sadie, is on the left; the femmey woman looking directly at the viewer, Evelyn, is on the right) are studded with stars, just above the title (LUNAV) and author's name (Jenn Polish), with stars also glowing all around a dragon tree named Jorbam. I will be in conversation with my favorite writer and friend Marcos S. Gonsalez, who’s represented by Lauren Abramo, VP of Dystel, Goderich & Bourret literary agency. Come for the conversation (and noms) and leave as the first people to read LUNAV: it doesn’t come out until March 26th, so those in attendance will be the first to crack open the pages of Sadie’s dragon-filled world! Another bonus: with every purchase of LUNAV, attendees will receive a free digital copy of LOST BOY, FOUND BOY, my queer sci-fi retelling of Peter Pan! Free snacks and drinks available! For those of you who aren’t around the city, you can pre-order LUNAV and LOST BOY, FOUND BOY right now! Either way, I’ll meet you in Lunav, in Neverland; somewhere in the pages! Newer PostClexaCon 2018 -- On My Way!